Plays first performed in the bleak surroundings of a Jewish concentration camp and ghetto over 60 years ago are to be staged again for modern-day audiences in New York, thanks to literary detective work by a UK-based academic from the University of York. The previously unknown scripts were discovered by Dr Lisa Peschel, a lecturer in the University of York’s Department of Theatre, Film and Television, during interviews with survivors of the Terezín camp and ghetto near Prague. At the book launch, Edward Einhorn, Artistic Director of Untitled Theater Company #61 (presenter of the Jewish Theater Festival and the Vaclav Havel Festival) will direct five actors in a staged reading of scenes and songs from the scripts. Dr Peschel will outline how the plays came to light and their role in helping the prisoners deal with life in the ghetto. Leo Baeck Institute is proud to host this event paying tribute to the cultural life that the Jewish residents of Theresienstadt struggled to maintain under oppressive conditions. LBI’s namesake, Rabbi Leo Baeck, was also a part of this effort. The last official leader of Germany’s beleaguered Jewish community, Baeck refused multiple offers that would have allowed him to emigrate and was deported at the age of 70 to Theresienstadt, where he continued to teach, holding lectures on philosophy and religion. Dr Peschel explained: “Terezín was a site of great suffering and deprivation but remarkably, in the midst of the fear and death, a thriving and vibrant cultural life arose. 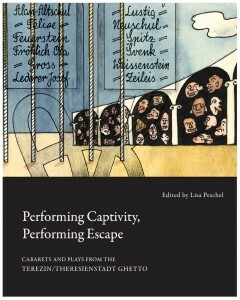 Scholars believed that most of traces of the prisoners’ theatrical work had been lost but during my research, I was put in touch with survivors of the ghetto and their relatives who had scripts of cabarets and plays that had not been performed since the war. “Terezín is different from many camps and ghettos in that the prisoners weren’t forced to perform the plays for the entertainment of their guards. These scripts were part of the cultural life of the camp that was generated by the prisoners themselves as a way of coping with the conditions of their captivity,” explained Dr Peschel. The prisoners were involved in the administration of the camp and this gave them access to the typewriters used to type the scripts. “In one case, chillingly, the same typewriter was also used to type the lists of prisoners to be transported to Auschwitz and other extermination camps,” said Dr Peschel. The anthology opens with a preface by novelist Ivan Klíma who was interned in the ghetto as a child. The epilogue, a sketch written by a former Terezín prisoner in a Nazi slave labour camp, reveals a darkly humorous view of the most wretched conditions. 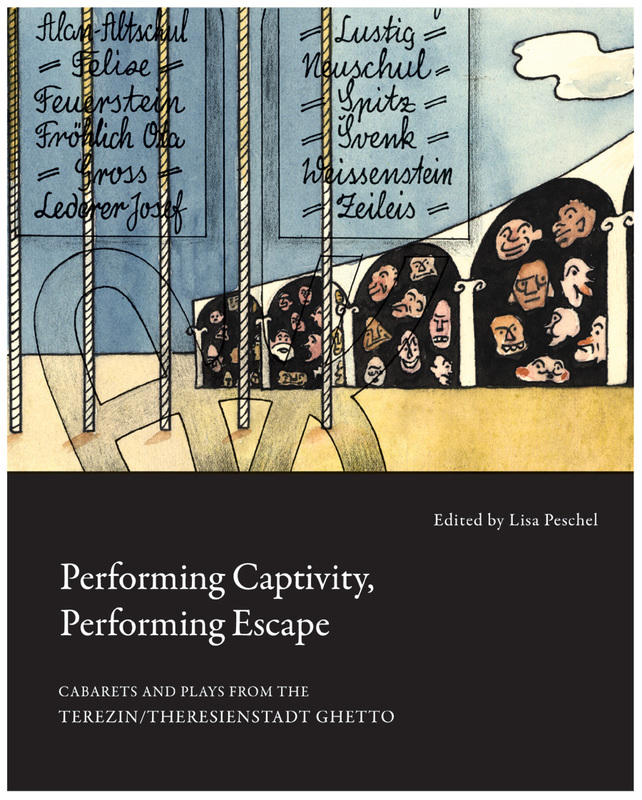 The anthology also includes an introduction by Dr Peschel about the circumstances that inspired the theatre of the ghetto. “The scripts are incredibly diverse. Each group in the ghetto, including left-leaning young Czech Jews, Austrian Jews nostalgic for Vienna and Zionists looking forward to post-war life in Palestine drew on their own cultural traditions within the texts. There are some concealed gestures of resistance in the scripts but generally, we don’t find much criticism of the Nazi regime. Instead, the plays are full of darkly comic descriptions of camp conditions and events in the ghetto,” said Dr Peschel.